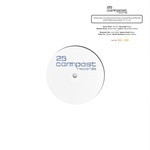 25 Years Compost Records; for many people, the record label is rated among the best German independent labels for club music, and it specifically belongs to the leading labels for house, future jazz and downbeat. This box set serves as proof of that achievement: dozens of producers, DJs, label owners, and companions sent us their thoughts, dedications and quotes. In fact, Compost is known worldwide for being the pioneer of the future jazz genre. The very successful and highly acclaimed compilation-series like Future Sounds Of Jazz, Glücklich, Elaste, or Party Keller are still timeless highlights. For the 20 year anniversary a book was published -- five years later, the music is put into focus again: the idea was to ask esteemed artists to reinterpret their favorite Compost tunes. The label is thus excited about getting both talented young artists and many of its all-time favorite producers involved in this project. Alongside the remixes and sold-out vinyl label classics, there are a few exclusive tracks in this limited, hand-numbered 10x12'' box. In addition, one can explore the impressive label history and background stories in the liner notes written by Michael Reinboth himself. Features: Beanfield, Ron Deacon, A Forest Mighty Black, Marsmobil, Siren, Tomasz Guiddo, Lorenz Rhode, Fauna Flash, Marbert Rocel, Shahrokh Dini, Trüby Trio, Web Web, Emilie Nana, Rainer Trueby & Corrado Bucci (Truccy), Liquid Phonk, Tomasz Guiddo with Nirosta Steel, Solomun, Eleanor, C.O.W., DJ Yellow & Flowers And Sea Creatures, Brother Of Soul, Alif Tree, Zwicker, Claudio Coccoluto, Shahrokh Sound Of K, TJ Kong & Nuno Dos Santos, and Move D. Limited, hand-numbered box includes download codes, a mixtape by each Reinboth and Thomas Herb, Compost logo metal pin, jute bag, sticker pack, and liner notes. Im Tanzrausch is step two of Fred Und Luna's joint venture with Compost Records. In direct connection to their mesmerizing album Im Tiefenrausch (COMP 537CD/LP), Fred und Luna come up with four hypnotic and tribal elektrokraut/krautelektro pieces ready to find their way to the dancefloor. The music of Fred Und Luna has always been a combination and an interplay of both listening and danceable sound. On Im Tanzrausch, they are focus on repetitive, dancefloor-ready beats, not losing sight of their love for beautiful melodies, electronic soundscapes and their krautish background. 25 years strong and still going steeply. Compost release the very strictly limited, serially numbered, stickered white label Overture 3 sneak preview. Compost classics by Fauna Flash, Marbert Rocel, Shahrokh Dini, and Trueby Trio remixed by Recondite, Joakim, Delano Smith, and Zenker Brothers. Some smart techy stuff. Edition of 200. Double LP version. A mesmerizing trip from Krautland through electronic fields to hypnotonia, exploring the textures of haunting melodies, luscious dreamscapes and tribal, dancefloor-ready beats. After their highly acclaimed debut album Im Klanggarten (2017) (on Bigamo, the label of Frank Wiedemann and Ame), Im Tiefenrausch is Fred Und Luna's next fascinating step in their Elektrokraut/Krautelektro series. Who are Fred Und Luna? Fred Und Luna are two mannequins living in a fashion boutique in Karlsruhe, Germany. They serve as muse for musician, lector, poet and photo/video maker Rainer Buchmüller. Inspired by his doll friends and his love for German electronic music of the past decades, Buchmüller under the alias "Fred Und Luna" produces his self-created genres Elektrokraut and Krautelektro: both a modern combination of repetitive rhythms, beautiful melodies, electronic soundscapes and elements from the krautrock era. Under the name of Ariston Baton, Buchmüller also writes and performs sound poems and concrete poetry. At live events and especially at exhibitions, Ariston Baton joins "Fred Und Luna" and Buchmüller's third identity Vizudaru Nono, who contributes video and photo projections. Together they form the so-called Equipe Nadaphysique. The next exhibition featuring all three named personalities will take place end of October 2018 at Rockomotives Festival in Vendôme, France. A brief history of Fred Und Luna Having previously released the EP Glück Auf (OM 034EP, 2016) on the Scottish label Optimo Music and being remixed by Prins Thomas for the Berlin label Innervisions, the year 2017 saw Fred Und Luna feature their debut album Im Klanggarten on Frank Wiedemann's (Âme, Howling) newly-founded label Bigamo Musik. 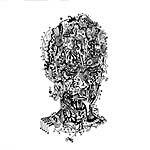 After the first editions of both the EP and LP both sold out quickly, live shows in Germany, France and England followed as well as remixes for Peter Pardeike (Connaisseur Recordings) and a common release with Trikk on Innervisions, among others. A team-up with Achim Treu (UFO Hawaii) resulted in several remixes for international musicians. A mesmerizing trip from Krautland through electronic fields to hypnotonia, exploring the textures of haunting melodies, luscious dreamscapes and tribal, dancefloor-ready beats. After their highly acclaimed debut album Im Klanggarten (2017) (on Bigamo, the label of Frank Wiedemann and Ame), Im Tiefenrausch is Fred Und Luna's next fascinating step in their Elektrokraut/Krautelektro series. Who are Fred Und Luna? Fred Und Luna are two mannequins living in a fashion boutique in Karlsruhe, Germany. They serve as muse for musician, lector, poet and photo/video maker Rainer Buchmüller. Inspired by his doll friends and his love for German electronic music of the past decades, Buchmüller under the alias "Fred Und Luna" produces his self-created genres Elektrokraut and Krautelektro: both a modern combination of repetitive rhythms, beautiful melodies, electronic soundscapes and elements from the krautrock era. Under the name of Ariston Baton, Buchmüller also writes and performs sound poems and concrete poetry. At live events and especially at exhibitions, Ariston Baton joins "Fred Und Luna" and Buchmüller's third identity Vizudaru Nono, who contributes video and photo projections. Together they form the so-called Equipe Nadaphysique. The next exhibition featuring all three named personalities will take place end of October 2018 at Rockomotives Festival in Vendôme, France. 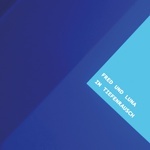 A brief history of Fred Und Luna Having previously released the EP Glück Auf (OM 034EP, 2016) on the Scottish label Optimo Music and being remixed by Prins Thomas for the Berlin label Innervisions, the year 2017 saw Fred Und Luna feature their debut album Im Klanggarten on Frank Wiedemann's (Âme, Howling) newly-founded label Bigamo Musik. After the first editions of both the EP and LP both sold out quickly, live shows in Germany, France and England followed as well as remixes for Peter Pardeike (Connaisseur Recordings) and a common release with Trikk on Innervisions, among others. A team-up with Achim Treu (UFO Hawaii) resulted in several remixes for international musicians. "I Rise" is the reflection of Emilie Nana's hatching and metamorphosis, based on the lyrics of the poem "Still I Rise" by Maya Angelou. After Danny Krivit, who came up with the now classic re-edits for the initial release of "I Rise", it's now fellow New Yorker François K who's sharing this strong sentiment. Like Krivit, the opportunity to working with a personality is a big honor for Emilie Nana and of course for Compost Records in either way. I Rise Remix EP combines three different versions to play with; all brilliant and special in his inimitable manner. 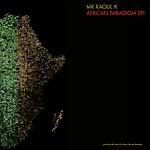 African Paradigm EP 1 is the first prelude to Mr Raoul K's forthcoming African Paradigm. The A-side kicks off with "Tamale", darker and gloomier than usual. Whirling pads and driving beats take twists and turns while diggin' deep into the dark. 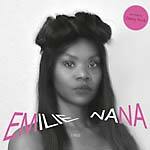 Sona Diabate's vocals kick in, and her powerful delivery provides some light in the shadows; elegance and energy. On the flipside Kaito remixes "African Paradigm" into twelve minutes of floating bliss. Mr Raoul K's trademark organic sounds and traditional Ivorian instruments deliver glistening soundscapes emblazoned with mysterious vocals. LP version. Ah! Kosmos has created a wonder that she holds you in the middle of. Also known as Basak Günak, a sound designer, producer, and multi-instrumentalist born in Istanbul, her tracks open up a space that draws the listener into a state of flow. In her second album, Beautiful Swamp, she combines crackling percussions with melodic soundscapes. Deep in the fabric of her tracks are also fears, rapture, bliss, and gloom. Günak's music captures what she has processed and overcome in her life between Istanbul and Berlin. The listener not only explores soundscapes but multi-layered emotions each layer drawing them further into the swamp. Even with her first record, Bastards (2015), Günak proved to be a border crossing producer, oscillating blissfully between avant-garde and gloomy post-rock. With Beautiful Swamp, which was created in Berlin and Istanbul in 2017, Ah! Kosmos continues challenging genre boundaries. Günak uses polyrhythms and folktronic instruments to build a mystical world of sound into which one can sink and be carried away. On this album, she has further revealed her own voice, becoming even more tangible as a person. 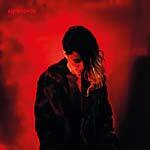 Her music is physical and carries graceful traces of clashes. The aptly named Swamp, perhaps also a primordial soup from which all things emerge and perhaps return to, is neither dark nor light but holds the potential for everything: beginnings, endings, growth, pain. Ah! Kosmos primarily works alone. But when Günak collaborates with others, it is even more intense -- like the one with the jazz singer Elif Çaglar, heard in the song "Beyond Dreams", or with the guitarist Özgür Yilmaz on the track "Wide". Additionally, Selen Ansen, one of the most important Turkish intellectuals of her generation, has written a poem for Günak's new work, entitled "In The Dark Woods". When Günak performs live, the music reacts directly to the mood in the floor. At each of her performances, her soundscapes take on a new form. Performing solo or accompanied by a guitarist, she has already supported acts such as Sigur Rós and Jonny Greenwood's Junun Project and has starred at important festivals. She also composes for contemporary dance and theater productions, short films, and performances. In the spring of 2018, she participated in the project "Sonár Calling GJ273B" and sent her disembodied voice singing "I do not belong here" into space. You probably feel very connected to her sound, out there. After their sensational debut album Oracle in 2017 (COMP 499CD/LP), the German jazz supergroup Web Web follow with an amazing new album, Dance Of The Demons. Their second full-length is a furious dance with the demons -- from positive spirit soul jazz "Land Of The Arum Flower", while the melody reminding to Ethiopian jazz of the '60s, to the mad, outstanding "Sandia", or beautiful weird "Safar" Web Web have had an intense year, they've played dozens of live concerts, where they proved their professionalism, closeness, power and spirituality once more. As a nice but ideal step, Web Web were thrilled to invite the well-known singer and gembri-player Majid Bekkas from Rabat, Morocco, who joined the group into the studio. Tony Lakatos was working with Majid and Joachim Kühn in the last years, also Roberto Di Gioia played with Majid and Klaus Doldinger. This brilliant musician with his North-African roots enriches the rough and bluntly concept of Web Web jazz. In "Maroc Blues", a solo performance by Majid Bekkas, you can hear the warm vibrant gembri, an instrument like an upright bass or lute with three strings. Majid's marvelous voice, which, reflecting the centuries-old tradition of the Berber tribes, perfectly underpins the great improvisation and spirituality of Web Web. Majid Bekkas is one of the most famous musician and representative of Gnawa music, which has its domicile in the south of Sahara. Majid Bekkas studied at the Conservatory For Music & Dance in Rabat, while playing since 1975 classical acoustic guitar and oud. For example, he played with Archie Shepp, Louis Sclavis, Peter Brötzmann, Hamid Drake, and lot of others in the world of jazz and world music. Dance Of The Demons (as well as the debut Oracle) was recorded live in Munich, engineered by Jan Krause (Beanfield, Poets Of Rhythm), produced by Roberto Di Gioia and Michael Reinboth. Web Web are: Roberto Di Gioia - piano, synth, percussion; Tony Lakatos - tenor and soprano saxophone; Christian von Kaphengst - upright bass; Peter Gall - drums. LP version. 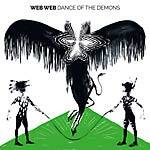 After their sensational debut album Oracle in 2017 (COMP 499CD/LP), the German jazz supergroup Web Web follow with an amazing new album, Dance Of The Demons. Their second full-length is a furious dance with the demons -- from positive spirit soul jazz "Land Of The Arum Flower", while the melody reminding to Ethiopian jazz of the '60s, to the mad, outstanding "Sandia", or beautiful weird "Safar" Web Web have had an intense year, they've played dozens of live concerts, where they proved their professionalism, closeness, power and spirituality once more. As a nice but ideal step, Web Web were thrilled to invite the well-known singer and gembri-player Majid Bekkas from Rabat, Morocco, who joined the group into the studio. Tony Lakatos was working with Majid and Joachim Kühn in the last years, also Roberto Di Gioia played with Majid and Klaus Doldinger. This brilliant musician with his North-African roots enriches the rough and bluntly concept of Web Web jazz. In "Maroc Blues", a solo performance by Majid Bekkas, you can hear the warm vibrant gembri, an instrument like an upright bass or lute with three strings. Majid's marvelous voice, which, reflecting the centuries-old tradition of the Berber tribes, perfectly underpins the great improvisation and spirituality of Web Web. Majid Bekkas is one of the most famous musician and representative of Gnawa music, which has its domicile in the south of Sahara. Majid Bekkas studied at the Conservatory For Music & Dance in Rabat, while playing since 1975 classical acoustic guitar and oud. For example, he played with Archie Shepp, Louis Sclavis, Peter Brötzmann, Hamid Drake, and lot of others in the world of jazz and world music. Dance Of The Demons (as well as the debut Oracle) was recorded live in Munich, engineered by Jan Krause (Beanfield, Poets Of Rhythm), produced by Roberto Di Gioia and Michael Reinboth. Web Web are: Roberto Di Gioia - piano, synth, percussion; Tony Lakatos - tenor and soprano saxophone; Christian von Kaphengst - upright bass; Peter Gall - drums. Future Sounds Of Jazz Vol. 14, compiled by Permanent Vacation's Benjamin Fröhlich and Tom Bioly. 28 tracks by Move D, Roman Flügel, Slowdive, Isolée, Cobblestone Jazz, Luke Abbott, remixes by Avalon Emerson, Russ Gabriel, Kassem Mosse, I:Cube, among others, including three exclusive and previously unreleased tracks. Wow, a new chapter of this legendary series. This and the very first time it's not compiled by Michael Reinboth, rather by Benjamin Fröhlich and Tom Bioly, the founders and masterminds behind Permanent Vacation. Why- Simply because they both are very close friends of the Compost family, with an amazing musical and DJ-like tastefulness, with the knowledge-based trust of music in the vein of vibrant, jazzy electronica hybrids. And they are from Compost Records' hometown Munich, too. Maybe Volume 14 differs slightly to what the previous 13 brought up music-wise, but that's the score, idea, and open-mindedness of this series, as it was by the compilers, and last but not least a great time for a change, too. The first half of the release, compiled by Benjamin Fröhlich, is clubbier. The second half, compiled by Tom Bioly, is a bit more sublime downbeat/electronica or relaxed feel. Both are true listening pleasure anyway. Future Sounds Of Jazz has been voted as one of the best compilation series of all time by several publications. With this series, starting in 1995, the term "future jazz" became a genre landmark. Also features: Basil Hardhaus, JTC, The Abstract Eye, Tee Mango, Marvin Horsch, Matt O'Brien, Aubrey, Marcellus Pittman, Herzel, David Goldberg, Benjamin Fröhlich, Claude Rodap, Jose Padilla, Jex Opolis, Pierre Bastien, Vanishing Twin, Yussef Kamaal, Machine Woman, The Stowaway, New Jackson, Albinos, Sirconical, and TB. 4LP version. Future Sounds Of Jazz Vol. 14, compiled by Permanent Vacation's Benjamin Fröhlich and Tom Bioly. 28 tracks by Move D, Roman Flügel, Slowdive, Isolée, Cobblestone Jazz, Luke Abbott, remixes by Avalon Emerson, Russ Gabriel, Kassem Mosse, I:Cube, among others, including three exclusive and previously unreleased tracks. Wow, a new chapter of this legendary series. This and the very first time it's not compiled by Michael Reinboth, rather by Benjamin Fröhlich and Tom Bioly, the founders and masterminds behind Permanent Vacation. Why- Simply because they both are very close friends of the Compost family, with an amazing musical and DJ-like tastefulness, with the knowledge-based trust of music in the vein of vibrant, jazzy electronica hybrids. 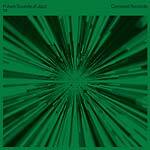 And they are from Compost Records' hometown Munich, too. Maybe Volume 14 differs slightly to what the previous 13 brought up music-wise, but that's the score, idea, and open-mindedness of this series, as it was by the compilers, and last but not least a great time for a change, too. The first half of the release, compiled by Benjamin Fröhlich, is clubbier. The second half, compiled by Tom Bioly, is a bit more sublime downbeat/electronica or relaxed feel. Both are true listening pleasure anyway. Future Sounds Of Jazz has been voted as one of the best compilation series of all time by several publications. With this series, starting in 1995, the term "future jazz" became a genre landmark. Also features: Basil Hardhaus, JTC, The Abstract Eye, Tee Mango, Marvin Horsch, Matt O'Brien, Aubrey, Marcellus Pittman, Herzel, David Goldberg, Benjamin Fröhlich, Claude Rodap, Jose Padilla, Jex Opolis, Pierre Bastien, Vanishing Twin, Yussef Kamaal, Machine Woman, The Stowaway, New Jackson, Albinos, Sirconical, and TB. Laolu & Raoul K's excellent debut EP for Compost Records is an amalgamation of state of the art house music, African rhythm, and sound textures being topped by the deep and spiritual vocals of Ahmed Sosso. With Sene Kela (2014), the duo easily bridged the gap between their African roots and modern house, between deepness and rave appeal. With "Djougou Yah", Laolu and Raoul K are picking up this vibe again but turning the wheel even further. With its punchy kick drum, stripped-back percussion work, striking synth arpeggios, and an epic breakdown, "Perc Mix" has got a perfect peak-time appeal. 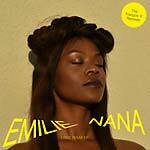 I Rise is the reflection of Emilie Nana's hatching and metamorphosis. With this record she makes you witness her transformation from a state of chrysalides to butterfly. I Rise is the synonym for self-assertion, as a determined African Black woman and an ode to inspiring women. Nana's levitating voice, almost whispered, will overwhelm you. 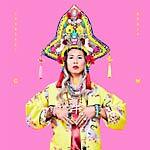 She will bewitch you like a great priestess whereas the musical backing is deep, hypnotic and steady tones. She is a black woman who's expressing herself proudly. Danny Krivit, a true legend and NYC nightlife mastermind, provides "Vocal Dub Edit" and "Beatapella" versions. LP version with CD. The fifth album from Marsmobil has been hailed by many as their best yet. With closer ties to Minx (2006) than their last two albums, Fairytales Of The Supersurvivor returns to Marsmobil's signature strength of wondrously brilliant songs ("And The Fishes In The Ocean", "Shadows Of The Inner Light") that blend off-the-wall cinemascope sounds with dazzling beats and punchy, powerful hooks to create uniquely distinctive art pop anthems. As always with Marsmobil, Roberto Di Gioia writes, plays, sings and programs everything himself. Here, as on Minx, he's brought in support from a fabulous singer -- the very wonderful Amber Lin, who contributes vocals on four songs. Art pop meets Mongolian throat singing, Blade Runner meets Walter Carlos's A Clockwork Orange soundtrack (1972), Tom Dissevelt and Kid Baltan (David Bowie's favorite band) meet Tame Impala. Multi-instrumentalist Roberto Di Gioia needs little introduction. The curious can explore his biography, discography, and extensive lists of projects and collaborations as musician and songwriter for an impression of the hugely diverse achievements of this multi-talent and brilliant musician. As a topical heads-up, Roberto Di Gioia is also the founder of the German jazz supergroup Web Web and released the album Oracle with the group in September of 2017 (COMP 499CD/LP). Di Gioia also wrote and produced Teufelswerk for DJ Hell (GIGOLO 250CD/LP, 2009) and contributed virtually all the songs on Hell's latest album, Zukunftsmusik (GIGOLO 302CD/LP/X-LP, 2017). Cover illustrations by Di Gioia. The fifth album from Marsmobil has been hailed by many as their best yet. With closer ties to Minx (2006) than their last two albums, Fairytales Of The Supersurvivor returns to Marsmobil's signature strength of wondrously brilliant songs ("And The Fishes In The Ocean", "Shadows Of The Inner Light") that blend off-the-wall cinemascope sounds with dazzling beats and punchy, powerful hooks to create uniquely distinctive art pop anthems. As always with Marsmobil, Roberto Di Gioia writes, plays, sings and programs everything himself. Here, as on Minx, he's brought in support from a fabulous singer -- the very wonderful Amber Lin, who contributes vocals on four songs. Art pop meets Mongolian throat singing, Blade Runner meets Walter Carlos's A Clockwork Orange soundtrack (1972), Tom Dissevelt and Kid Baltan (David Bowie's favorite band) meet Tame Impala. Multi-instrumentalist Roberto Di Gioia needs little introduction. The curious can explore his biography, discography, and extensive lists of projects and collaborations as musician and songwriter for an impression of the hugely diverse achievements of this multi-talent and brilliant musician. As a topical heads-up, Roberto Di Gioia is also the founder of the German jazz supergroup Web Web and released the album Oracle with the group in September of 2017 (COMP 499CD/LP). Di Gioia also wrote and produced Teufelswerk for DJ Hell (GIGOLO 250CD/LP, 2009) and contributed virtually all the songs on Hell's latest album, Zukunftsmusik (GIGOLO 302CD/LP/X-LP, 2017). Cover illustrations by Di Gioia. Vinyl edition of two EP releases by C.O.W. 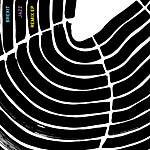 牛, a German electronic act and digital art project. Wanting to breakout of the stagnating German pop-culture, C.O.W. 牛 was founded in December 2015. Their music -- and also their appearance and form -- reflect a new zeitgeist. The identities of their members (experienced producers and musicians from Munich, Berlin, and Beijing) dissolve into the artistic persona C.O.W. 牛. They produce and play mostly instrumental electronic music, which spans from obscure jazz interludes to electrified club beats. Their music is accompanied by a strong visual concept. Performing behind 8-bit pixel-masks and utilizing their self-made visuals, they provide for a rich live-experience and unfold the strong persona of C.O.W. 牛. Bold, cheeky, and extravagant, these artists created their own genre. It is not easy to label C.O.W. 牛, but if you must, you can place them between Flying Lotus and Hudson Mohawke. Exceptional art and sick music. With $hanghai Mone¥ the collective delivers the long-awaited sequel of their first C.O.W. 牛 EP, originally released in 2016. Remaining true to their distinct style, $hanghai Mone¥ shows a funkier, however darker face of the collective. The drums are heavier and longer, the setup more theatrical. It introduces the listener to autumn, to short days and long nights. This release contains both EPs, showing the two faces of C.O.W. 牛. The original "Brexit Jazz" track was recorded and programmed, played live at the Beanfield Studio Munich in 2016, right after the British government announced the Brexit on (black) Friday morning. 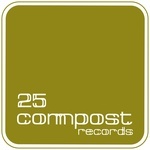 Compost announced a remix competition of the track and got over 90 remixes. Here are the winners of the "Brexit Jazz" remix competition and a brand new version made by Roberto Di Gioia (Marsmobil/Web Web), Jan Krause (Beanfield), and Michael Reinboth (Compost). 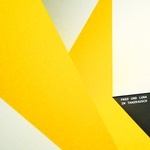 Remixes by Konvex & The Shadow + Melokolektiv, Letryp, and CRS & BRG. LP version. Oracle, the first album by the German supergroup Web Web, is very uncut, raw, live, and direct. Their initial idea was to record a spiritual-jazz type of album, with all its imperfection as far as intonation, sound, influences of tunes, just like the big jazz-heroes of the '70s. Web Web's idea was to record a jazz jam session while to found and proclaim being a fictive band, a formation, which did not exist, while telling people, it would be a secret jam session recording of the '70s. But they decided to reveal their real identities: Roberto Di Gioia (piano, synth, percussion), Tony Lakatos (tenor and soprano saxophone), Christian von Kaphengst (upright bass), and Peter Gall (drums). Oracle was recorded in one day, and only first takes were used. Oracle is the first live jazz release on Compost. Roberto Di Gioia has been working with numerous jazz-legends, such as Woody Shaw, Art Farmer, James Moody, Johnny Griffin, Charlie Rouse, Clifford Jordan, Clark Terry, Roy Ayers, Gregory Porter, and many more and from 1990-2008, he was a member Klaus Doldinger's Passport. He started his own group Marsmobil in 2003. Since 2007, he has been working together with Samon Kawamura and Max Herre as KAHEDI. Tony Lakatos originates from the world famous Lakatos-familiy from Budapest, Hungary. His father was a famous violinist, as well as his younger brother Roby. Tony studied at the Bela Bartok Conservatory in Budapest. Since then he played on over 350 jazz albums. Tony was a member of Jasper Van't Hof's Pili Pili. Christian von Kaphengst learned the piano at the Peter Cornelius Conservatory in Mainz when he was six years old. From 1988 to 1995 he studied upright-bass at the "Musikhochschule" in Cologne. He was touring with his own Jazzquartett "Cafe du Sport" to Pakistan, India, Turkey, and West-Africa. Peter Gall won some important German awards when he was a youngster, like the "Jugend Jazzt". He was touring with the famous Bundesjazzorchester conducted by German jazz legend Peter Herbholzheimer. He studied at the Berlin University Of Fine Arts and at the Jazz Institute Berlin with John Hollenbeck. Produced by Roberto Di Gioia and Michael Reinboth. Oracle was engineered, recorded, and mixed by Jan Krause (Beanfield, Poets Of Rhythm). 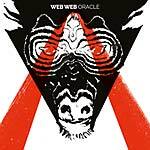 Oracle, the first album by the German supergroup Web Web, is very uncut, raw, live, and direct. Their initial idea was to record a spiritual-jazz type of album, with all its imperfection as far as intonation, sound, influences of tunes, just like the big jazz-heroes of the '70s. Web Web's idea was to record a jazz jam session while to found and proclaim being a fictive band, a formation, which did not exist, while telling people, it would be a secret jam session recording of the '70s. But they decided to reveal their real identities: Roberto Di Gioia (piano, synth, percussion), Tony Lakatos (tenor and soprano saxophone), Christian von Kaphengst (upright bass), and Peter Gall (drums). Oracle was recorded in one day, and only first takes were used. Oracle is the first live jazz release on Compost. Roberto Di Gioia has been working with numerous jazz-legends, such as Woody Shaw, Art Farmer, James Moody, Johnny Griffin, Charlie Rouse, Clifford Jordan, Clark Terry, Roy Ayers, Gregory Porter, and many more and from 1990-2008, he was a member Klaus Doldinger's Passport. He started his own group Marsmobil in 2003. Since 2007, he has been working together with Samon Kawamura and Max Herre as KAHEDI. Tony Lakatos originates from the world famous Lakatos-familiy from Budapest, Hungary. His father was a famous violinist, as well as his younger brother Roby. Tony studied at the Bela Bartok Conservatory in Budapest. Since then he played on over 350 jazz albums. Tony was a member of Jasper Van't Hof's Pili Pili. Christian von Kaphengst learned the piano at the Peter Cornelius Conservatory in Mainz when he was six years old. From 1988 to 1995 he studied upright-bass at the "Musikhochschule" in Cologne. He was touring with his own Jazzquartett "Cafe du Sport" to Pakistan, India, Turkey, and West-Africa. Peter Gall won some important German awards when he was a youngster, like the "Jugend Jazzt". He was touring with the famous Bundesjazzorchester conducted by German jazz legend Peter Herbholzheimer. He studied at the Berlin University Of Fine Arts and at the Jazz Institute Berlin with John Hollenbeck. Produced by Roberto Di Gioia and Michael Reinboth. Oracle was engineered, recorded, and mixed by Jan Krause (Beanfield, Poets Of Rhythm). Devi Mambouka gives voice to Lulu in the song and inhabits the heroine's indifference to bourgeois convention with graceful and sensual defiance. The lyrics herald transformations and builds on the ideas of Siren's previous songs. In the barren context of contemporary dance music, which seems indifferent to the ideas of art and philosophy, Siren draws inspiration from lyricists like David Bowie, Joni Mitchell, and writers like John Ashbery and William Burroughs. 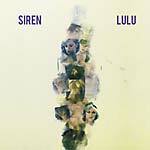 Lulu's sleek production and affecting rhythms evoke a journey taken, nocturnal and urgent. Includes a remix by Daniele Baldelli & Marco Dionigi. Cover art by Erik Foss. 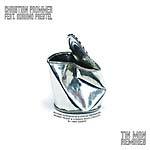 Following Übermood (2014), Christian Prommer is back with a new single and some remixes on Compost Records. This time with a version of the band America's song "Tin Man". The song was a big tune in 1974 and was produced by George Martin. He recorded the song last year with Adriano Prestel on vocals and David Lemaitre on guitar. Folk and house music come together with big vocals and hypnotic beats with some Brazilian influences. Remixes by: RJ, Rainer Trueby & Corrado Bucci (Truccy), Richard Dorfmeister & Stefan Obermaier, and Max Joseph. 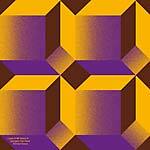 German trio Marbert Rocel follow the 2015 release of their fourth album, In the Beginning (COMP 474CD/LP), with an EP of remixes of album tracks, including remixes by Deetron, Snacks, Quarion, and M.ono & Luvless. 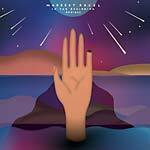 With playful details and delicate harmonies, Marbert Rocel craft songs that suddenly become secret house weapons on dancefloors and transfer peak-time vibes to the living-room sofa, endearing themselves to listeners from the worlds of techno, soul, jazz, and pop alike. In the Beginning Remixes delivers an exciting blend of organic and electrified house and ethereal melodies for purist house heads, fans of leftfield house, and twisted groove addicts.